As a birth doula, photographer and mother, I’ve learned -birthing, becoming a mother … it changes you. And you’re still you. 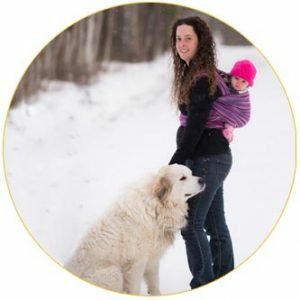 Looking back at pictures of me with a full belly, carrying our baby – days, months, years, decades -postpartum, it’s a wonder that my belly accommodated a growing baby. It’s a wonder that a baby I’m now holding in my arms, once grew inside of me. The “baby” beaming proudly and waving a newly printed driver’s license … is the baby that grew inside of me. Looking back at pictures of me birthing, working hard to bring our baby earth side, I’m in awe of my strength. That was me. That is me. Even when the dishes are overflowing, the tween is having a meltdown, the car tire is flat …. I still have that strength in me. The strength to mother. Looking back at pictures of our baby as a newborn – when s/he is months, years, decades old – I marvel at delicate eye lashes, tiny fingers, peaceful faces – and how much that little person has grown to be an incredible individual. Looking back at pictures of me breastfeeding our baby, I’m amazed at the life I could sustain in my belly, and beyond. I remember how long that time felt when I was living it – but now I can’t believe it went by so quickly. I’m Sarah, the one with the brown eyes. I always wanted to be a mom … and had a camera in hand off-and-on from childhood. That camera became a permanent fixture in one hand after I became a mom – the other hand was of course holding a baby. My passion for birth was ignited by motherhood, and the ability to combine that with my love of photography prompted me to pursue photography professionally. I bring this passion along with my doula experience to my photography when capturing births and the birthing season. As a doula, my goal is to empower families with information to make the best choices for themselves surrounding their pregnancy, birth, and postpartum period. Trained as a birth doula through Birth Arts International, I provide physical and emotional support through your birthing journey. They say, the days go slow but the years go fast – and that has been my experience. In the fast-and-slow nature of parenthood, I want to capture the details that are lost from memory when not documented. Those details are hazy around those early days. As a birth advocate, I have become increasingly passionate about applying my photographic skills towards capturing births and the year that surrounds birth. Through my documentary shooting style, I strive to capture those authentic unscripted moments. As a birth photographer, my hope is that these images empower young families and are treasured for a lifetime. On the days that feel extra long, I hope these images remind us of where we started. I hope it’s clear how strong we were without even realizing and we remember that strength is still within. When our sons and daughters are expecting their babies, I hope we can pull out these images. We’ll remember all the intensity a new baby brings and compassionately share our experiences and wisdom gained with time. Pregnant? Here’s more info about my doula services. I’d love to hear your birth plans! Get in touch! Ready to document your pregnancy, birth, and/or beyond – let me know!